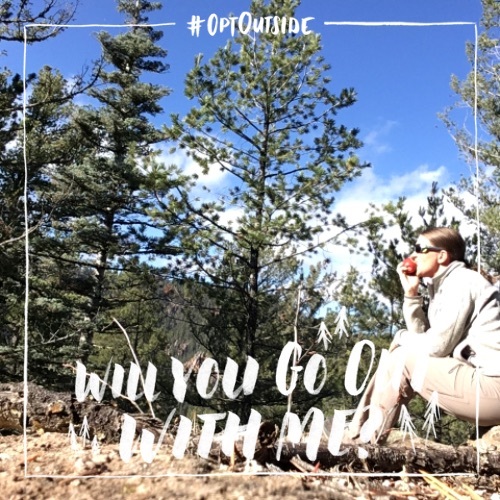 Thanksgiving is upon us and while the focus is rightfully on quality time with families and friends, you may have noticed another initiative during the past few years: Opt Outside. The concept was launched by REI in 2015 when the major outdoor retailer announced they would close all 143 shop doors on Black Friday, paying their 12,000 employees not to work and instead go outside and play, with a nudge for customers to do the same. By the time Nov. 27, 2015, rolled around, approximately 150 other companies charged ahead with the same message to their employees, and dozens of other retailers also closed their doors to shoppers. This year, REI will again close all shop doors (now 149 stores!) and pay all 12,287 employees to play outside on Black Friday. (I'm certain this is one of the reasons REI has made Fortune's 100 Best Companies To Work For during the past 19 years). The momentum continues to grow, as other employers have followed suite, certain state parks offer free admission and organizations are leading nationwide outdoor events giving people alternative options and creating a new holiday tradition for Friday. I once was part of the consumeristic chaos, as I worked at Hallmark for 6 years of my life through high school and college. I loved working retail and at that time in my life, I loved Black Friday shopping. Obviously, I've changed my tune in the last 20 years. 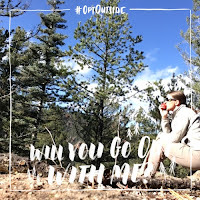 The "Opt Outside" initiative is not new to Justin nor I, as we've actually spend a few Thanksgivings/Black Fridays (and other holidays) in the wilderness. 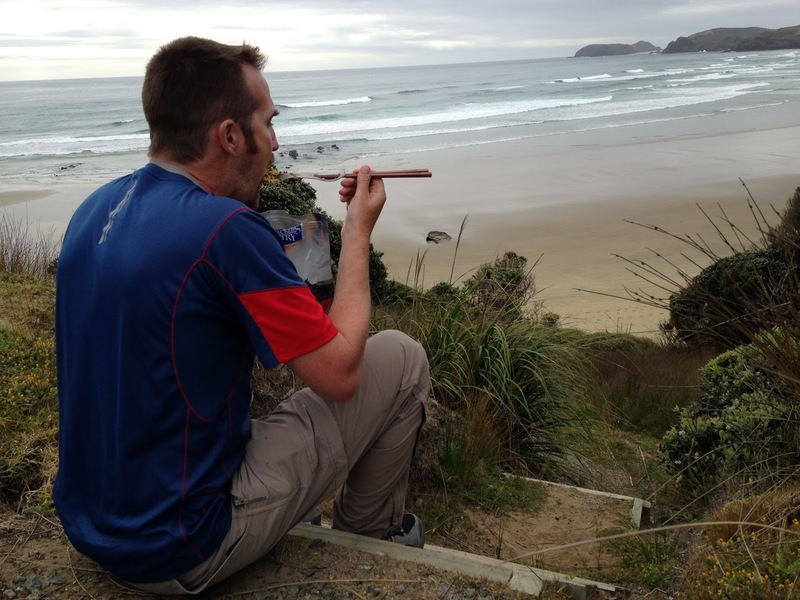 Our most memorable was on New Zealand's Te Araroa in 2014. Thanksgiving was our first night on the trail and we were half a world away from home. Our meal was actually dehydrated chicken and noodles, instead of turkey. A close second would be in 2011 when we met up with Misti & Chris and went backpacking in Guadalupe Mountains National Park in Texas. We summited and slept on top of Guadalupe Peak, the highest point in Texas, for Thanksgiving. Hard to believe that was #18 for our highpointing count, now that we are up to 40. There is nothing better than getting to experience both the sunset and sunrise! When I was in Denver last week, my sister-in-law asked me if I was enjoying being back in civilization, as opposed to the secluded cabin life I've been living in the mountains of New Mexico. The truth is, no, I don't enjoy it. I understand the allure and importance to MOST people to be among the masses and access. But, Justin and I would much prefer being isolated and remote. We are also lucky the property has a 2-mile trail leading into the Santa Fe National Forest directly in our backyard. We can—and do—microadventure often because it's there. The Fenton kids call this place "Rock Tokyo" because of all the holes in the rocks. 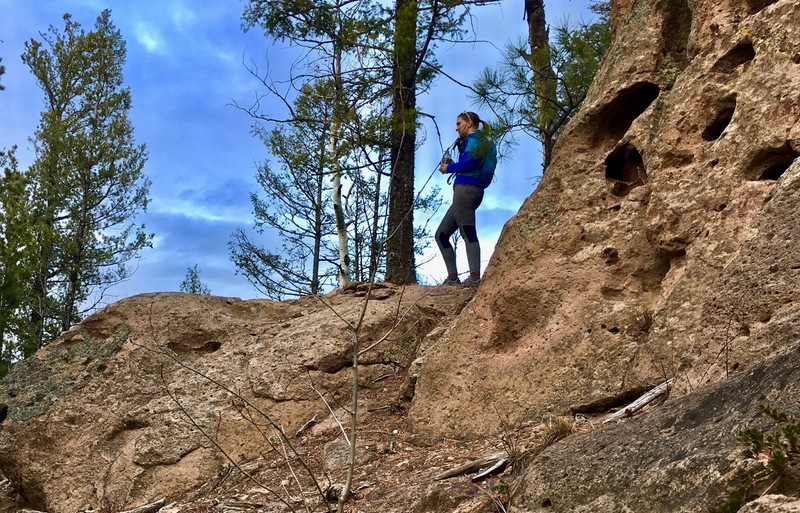 With 125 million acres of public lands, 27,625 miles of mountain bike trails, 10,481 miles of whitewater paddling and 13,917 cliffs and boulders to climb (thanks Outdoor Alliance for the stats! ), there's no shortage of options for all of us. Some may just have to venture further off the beaten path. Learn about opportunities for you to Opt Outside wherever you live in the country by going here. Happy Thanksgiving! And go outside!